In the Middle Ages western Europe was divided into a patchwork of kingdoms but shared a common religion and a rigidly hierarchical society. During the twelfth and thirteenth centuries the increasing power of the Church brought conflict between popes and secular rulers, and papal authority was seriously weakened. The later Middle Ages was a time of unrest, marked by an exhausting war between England and France, the ravages of the Black Death, and the rebellion of peasants against their lords. The sixteenth century marked a turning point, as the Protestant Reformation ended the dominance of the Catholic Church and began an era of religious wars. The new nation-states began the acquisition of vast empires, extending European influence throughout the globe. The soaring spires of the Romanesque and Gothic cathedrals were the supreme architectural achievements of the age, and it was the cathedral schools that gave birth to the universities. Although learning and the arts were devoted to the glorification of God, there was also a strong current of non-religious literature, including the Arthurian romances and masterpieces such as Dante's Divine Comedy and Chaucer's Canterbury Tales. The invention of printing in the mid-fifteenth century ensured the rapid spread of ideas from the dawning Renaissance, during which artists such as Leonardo da Vinci and Michelangelo looked back to ancient Greece for inspiration and brought the human figure into their work. During the eleventh and twelfth centuries music became increasingly elaborate. At Notre Dame in Paris, church composers created harmony by adding new melodic lines to Gregorian plainchant. 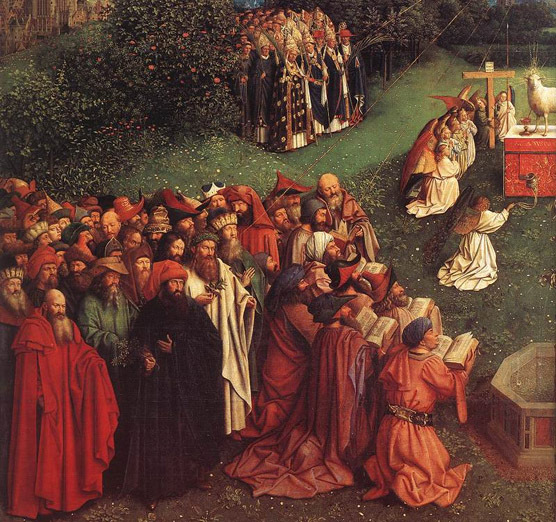 Secular music also flourished as troubadours sang of the joys and sorrows of love. Spurred on by the work of Ockeghem and Josquin Desprez the musical evolution gathered pace until by the sixteenth century it had reached new heights, exemplified by the vocal music of Lassus in Italy and Byrd in England. For people living during the period from 1100 to 1600, and even earlier, life contained a great deal to tear. Shortages of food and money, constant fighting, illness and disease, and political instability posed ever-present threats. The one constant factor was religion. The Church stood at the centre of people's lives, and of their everyday rituals of existence: it was powerful, rich, and the provider to many. A close association between religion, music, and all other significant aspects of culture was therefore entirely natural. ninth century. The word "mousike" comes from ancient Greece, where music played a vital role. The body of musical ideas evolved by the Greeks (among them Plato, Aristotle, and Pythagoras) formed the basis for music's development in western Europe in later times, after Greek culture was transmitted throughout the west by the Romans. Instruments used in ancient Greece included lyres and flutes, which were generally used in songs to accompany poetry. The absence of instruments in early western Christian music can be partly understood as a reaction against their perceived pagan origins. Christianity spread through the Roman Empire, and by the fourth century AD was the official religion. The Church grew in influence as it established land ownership and wealth. Many people were disillusioned with the material nature of prosperous Roman society, and this led to the development of the first monasteries, dedicated to self-denial and religious worship. Christianity in its Orthodox form was growing in the east (around present-day Greece and Turkey). Rome and the west suffered continual turmoil, but the eastern part of the Empire remained intact. This became the Byzantine Empire, with Constantinople (Istanbul) as its capital: it was to flourish for the next thousand years. During the "Dark Ages" (the name given by Renaissance thinkers to the Middle Ages (c. 1000-1400 ad] and before), the vital classical heritage of the ancient Greeks was safeguarded in the eastern Empire. In the west, as the Roman world declined, monasteries provided the only safe haven for classical knowledge and arts. Against a general backdrop of unrest and insecurity, they were more than just secure retreats. As they accumulated gifts from devout followers, they became rich and substantial land-owning bodies, who could commission work from the best architects, artists, sculptors and composers. They became the main patrons of the arts. Except in Italy, they were virtually the only providers of schools and education. Altogether, it is not surprising that culture was strongly flavoured by religion. Early Christian music was characterized by various types of chant, with different places developing their own styles. Ambrosian chant grew up in Milan, named after the fourth-century Bishop Ambrose who first recorded them; Spain and France evolved separate bodies of liturgical (church-service) music. It was the church music of the city of Rome, however, that laid the substantial foundations on which later western music was built. The many traditional chants (called PLAINCHANT or PLAINSONG) were gathered into an ordered system by Pope Gregory I in the sixth century, and hence are often referred to as Gregorian chant. This collection became the standard music of the Roman Catholic Church. In the ninth century the repertory began to develop and expand, with extra material - both words and music - being incorporated into the chants to give a richer, more complex sound. A radical new concept was also gradually introduced into music at this time, which would further enrich it as well as take it in a dramatic new direction that would last for centuries. The new style was known as polyphony, and was distinguished by its use of several separate musical lines (contrasting with the single line of plainchant). The main form of early POLYPHONY was ORGANUM. PLAINCHANT or PLAINSONG Sung chant that accompanied the services and Offices of the Christian Church from earliest times. It consisted of a single line of text and melody, sung by a single voice (the priest) or by several voices in unison (the choir). POLYPHONY Greek, "many-sounded." The style of music that developed from increasing the number of independent melodic lines from one (as with chant) to two, three or even four, giving greater depth and complexity. The style evolved over many centuries, flourishing from the 13th to the 16th. ORGANUM Form of early polyphony, mainly choral but sometimes accompanied by the organ. Initially, the separate musical lines moved in parallel and in the same rhythm. As the style evolved, the lower voice (tenor) retained the basic, stable plainchant melody while the other parts moved more freely above it, allowing room for some rhythmic inventiveness. Later still, the upper parts even used non-religious texts, which the Church appears to have accepted provided that the sacred music of the tenor line was not obscured. 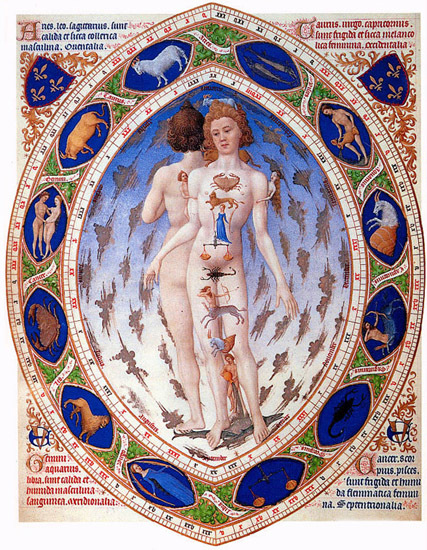 Organum reached its most developed state with Perotin in the 12th century. On Christmas Day in the year 800, Charlemagne, King of the Franks, was crowned Emperor of the Romans by Pope Leo III. This revival of the Roman imperial title, which had not been used in western Europe since the fifth century, heralded the birth of what would come to be known, much later, as the Holy Roman Empire. This vast, shifting, political and military empire would stretch for a thousand years across what are now, broadly, modern-day Germany, northern Italy, and part of France. Its chief lands were mostly German, and its ruler was usually the German king. Throughout the Middle Ages the ruling dynasty was closely allied with the Roman papacy in its leadership of Christian Europe; a political and religious alliance that accentuated the increasing gap between the western and eastern (Byzantine) sides of the Roman Empire. Not long into the eleventh century, there was a fatal deterioration in the relationship between the western Church of Rome and the eastern Orthodox (Byzantine) Church. In 1054 a state of schism was declared and the two increasingly went their separate ways. In the ninth and tenth centuries a revival occurred in the classical arts, encouraged by the Emperor Charlemagne at the Frankish court and subsequently by the Ottoman German Emperors (whose dynasty followed that of Charlemagne). In the late eleventh century a new style in architecture and manuscript illumination reached its pinnacle in western Europe. Known as Romanesque (because of its indebtedness to the classical Roman past), this movement fused local traditions with Roman, Germanic, and Byzantine influences. Resulting from a widespread religious revival at this time and seen most dearly in the building of monasteries and churches, the style touched on all the decorative arts of the period, and was characterized by a confidence and grandeur in buildings, and exuberant freedom in monumental sculpture. By the twelfth century, society in western Europe was becoming more complex and more cultured. As teachers set up schools separate from the monasteries (for example, those attached to new cathedrals such as Chartres in northern France), they created new opportunities for education. Opportunities outside the Church also increased; art, architecture, music and literature began to expand to meet wider needs. An era was dawning that would see universities appear and courts become influential patrons. Yet, for music and all the arts, the patronage of the Church remained vital. Romanesque was superseded towards the mid-twelfth century by Gothic, the second major European art movement of the Middle Ages, lasting several hundred years. Gothic architecture used the principle of converging arches, with ornate stone ceilings and vast decorated windows. After the heavy Romanesque style, the Gothic constructions, with their slim columns and tremendous sense of height, were truly buildings of celebration. Their proportions and their very fabric amplified sound — a special inspiration to composers, who developed techniques to fill the space with glorious, soaring music. The church of Notre Dame in Pans now became the main centre of musical influence m western Europe. The great Gothic cathedral was commissioned in 1160 to replace the old Romanesque building; it took 80 years to build, during which time much sacred polyphonic music was composed. The French poet and musician Leonin, a canon of the cathedral, wrote his Magnus liber organi (Great Book of Organum), a major collection of material for the church year. His successor, Perotin, took the work further, expanding the organum form (adding, for example, aspects of rhythm taken from secular — non-religious — music), as well as creating new forms. It was at the Notre Dame school that the MOTET (essentially a composition for more than one voice) developed, encouraged in large part by Perotm's innovations. MOTET A polyphonic composition, initially based on plainchant, classically in three parts. Each part was sung at a different speed and using different words, not always Latin (the language of the Church). At first religious, by the 13th century it had adapted to secular functions too. 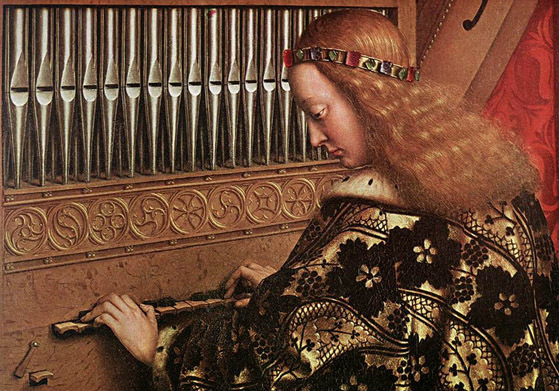 In later medieval times the motet was the main form of musical composition, often accompanied by the organ. 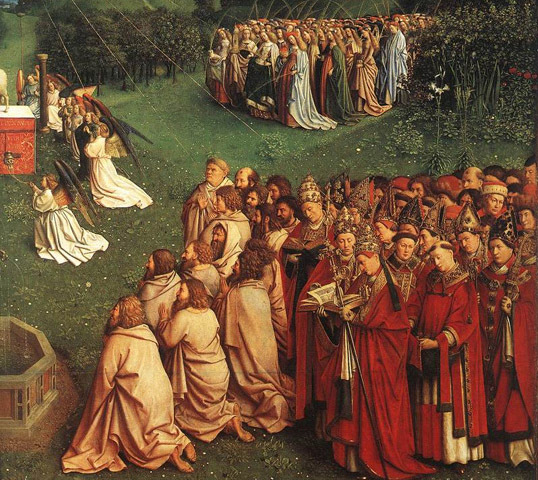 The development through the Middle Ages of liturgical, as opposed to secular, music was relatively well documented. Secular music, though not chronicled in the same way, had certainly been evolving alongside sacred music: the twelfth century saw a fully formed tradition emerge in France. The Church was a wealthy patron, but the aristocracy was even wealthier; the difference lay in the fact that the aristocracy placed less emphasis on learning. The standards and beliefs of secular culture were seldom set down in writing until the twelfth century, when the use of vernacular (native language) literature began to increase, and members of the upper classes became more typically able to read. This was the era of the Crusades, of chivalric ideals, of courtly life. The world of chivalry was one where knightly valour, gallantry, loyalty, and courtesy were of the utmost importance. The new royal and princely courts of the age required noblemen to show as much prowess on the dance floor as on the hunting field, in courtly love as in battle; to express themselves as ably through poetry, languages, and music as through the arts of war and sport. It was against this background that the secular music of medieval France developed. The early performers were minstrels (jongleurs or menestrels) who went from village to village eking out a living by providing very basic entertainment. From these emerged troubadours (trouveres in northern France), poet-composers who belonged to the nobility and performed songs about courtly love and the political and moral issues of the day. In Germany, musicians known as Minnesinger flourished, performing a similar function (these were superseded by the more widely known Meistersinger). Doubtless there were corresponding movements in England, Spain, and Italy, but little documentation survives. The music of the troubadours was MONOPHONIC (as opposed to the more sophisticated polyphony of the new religious music) and relatively limited in scope, but innovations included the evolution of many formal, structured patterns. Such forms included the BALLADE and RONDEAU; both influenced composers of sacred polyphony. MONOPHONY Greek, "single-sounded." The use of a single melody in a piece of music, a style dominant before, but not totally supplanted by, the development of polyphony. Towns now developed rapidly across Europe, with a corresponding growth in agriculture. Fine buildings housed universities at centres of learning such as Bologna, Oxford, Cambridge, and Paris in the early thirteenth century, and Prague and Heidelberg in the fourteenth. While papal power remained strong, the power of the monasteries was being steadily usurped by the new city centrepieces - the cathedrals — which were in turn creating their own schools of learning, such as at Lyons and Chartres. Musically, by about 1250 the importance of organum and its related forms was declining, and for the next 50 years the medieval motet dominated both secular and liturgical worlds. 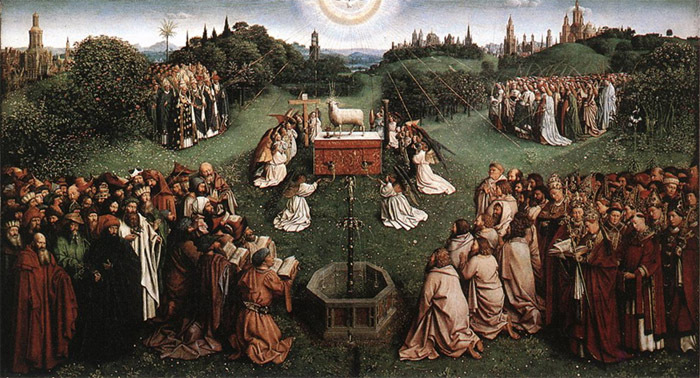 From 1150 until as late as 1300, new and old liturgical music stood side by side, and historians have christened the period Ars Antiqua (old art) - as distinct from the important Ars Nova (new art) movement that followed. A remarkably rich anthology of music covering this period survives to this day in a manuscript of the satirical poem Le roman de Vauvd (The story of Fauvel). The collection contains some of the earliest known examples of Ars Nova, five songs by the French composer Philippe de Vitry on courtly love. The Ars Nova movement, which exerted an influence on music over several centuries to come, derived its name from a tract written by Vitryin the early fourteenth century. His treatise set out the theories of music notation and harmony that were the innovative developments of his day. It was Guillaume de Machaut, however, who was the most important Ars Nova composer. He dominated both in sheer volume of work and in the further development of the motet and polyphonic songs that characterized the movement, replacing the restrictive plamchant and organum ot Ars Antiqua with greater freedom of rhythm and a new complexity in multi-part songs. Following a period of tending with the Italian nobility and cardinals, in 1309 the papal court moved from Rome to the Provencal city of Avignon. There it remained until 1377, increasingly subject to French influences. On the court's return to Rome, such unrest was generated that in 1378 dissenting cardinals established a rival pope. For the next 30 years, in a period of church history known as the Great Schism, two popes contested the leadership of Christendom, and the papal reputation suffered severe damage. In England, early religious discontent was sown by the reformer John Wyclif, who - a century ahead of his time - rejected papal power and circulated extracts of the Bible translated from Latin into English so ordinary people could understand. In northern Europe, a series of conflicts known as the Hundred Years War raged between France and England from about 1337 to 1453. Оn top of continual warring and religious unrest, fourteenth-century Europe also suffered a crisis brought on by famine and disease. Populations, weakened by a succession of bad harvests, were decimated by waves of plagues like the Black Death, which recurred throughout the century and, indeed, the centuries to come. Survivors were gripped by a deep-seated tear of having in some way offended God: this led to witch-hunts against any suspect groups. The spectre of heresy became a dark and lasting undercurrent of the age. Artistically, although this was a period of revival, a strong stream of pessimism persisted, shown in such specific themes as the Dance of Death. However, such dramatic depopulation did have some positive results, eventually including better wages, improved diets and, not least, a rapid end to serfdom. exerted a dramatic influence across Europe in the fourteenth, fifteenth, and sixteenth centuries and beyond. 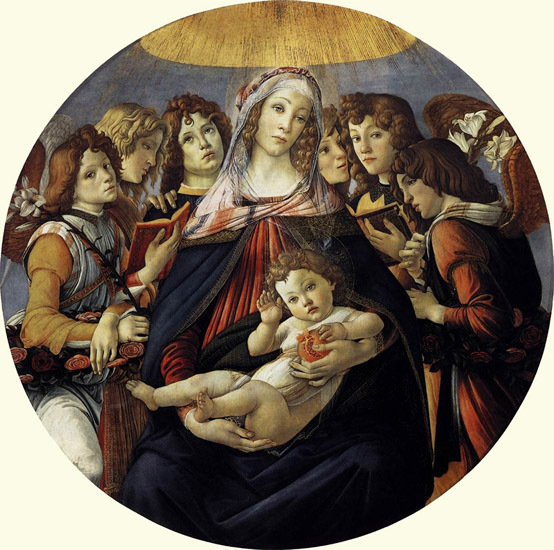 Renaissance art looked back to the classical age for its inspiration, embracing both secular and religious themes. It celebrated individual human potential, and used innovative techniques like perspective in painting. Many of the great Renaissance artists, such as Leonardo da Vinci and Michelangelo, were also skilled scientists, architects, engineers, and poets. From 1384 to 1477 the state of Burgundy was dominated by four powerful and politically astute dukes, and became the most prosperous area of northern Europe, assuming a position of great prominence. It is generally accepted that the Renaissance in music began here. The Burgundian dynasty was the focus of northern Europe's intellectual, artistic, and musical activity throughout the first half of the fifteenth century. 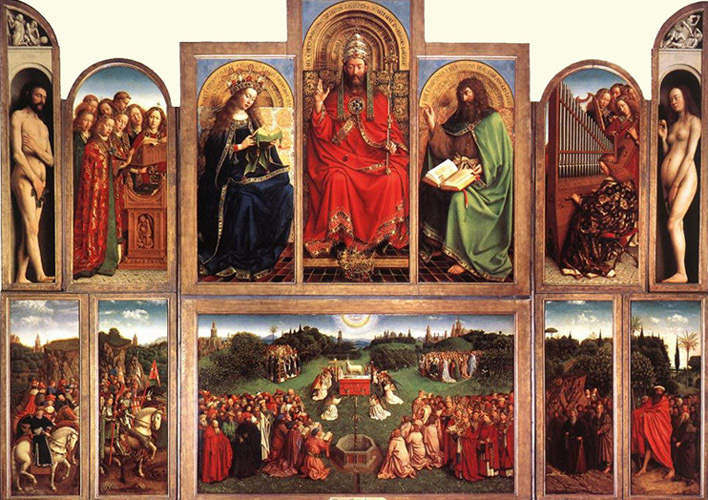 The court provided patronage for the cream of Europe's creative talent, including artists like Jan van Eyck, and composers such as Guillaume Dufay, who, though French, had strong links to Italy. John Dunstable and others brought new musical techniques from England that strongly influenced the Burgundian style. The Mass became increasingly important as a sacred musical form in its own right. Meanwhile secular music saw the evolution of CHANSONS (three-part songs) and freer forms than had been usual in Ars Nova. These songs - typically secular but also religious - were often accompanied by instruments such as the medieval harp, the lute, the flute, and the organ. Influences from the court of Burgundy extended much wider afield m the second half of the fifteenth century. Musical emphasis became concentrated on what is known as the Franco-Flemish school. The name reflects the dominance of musicians from the affluent and relatively stable Low Countries, rather than the geographical position of the school, which was not tied to one location. These musicians travelled through Europe, both absorbing and spreading stylistic innovations, and were greatly in demand at aristocratic courts. Three composers stand out particularly: Ockeghem, Obrecht, and Josquin Desprez. They and their peers developed the techniques that formed the basis for much sixteenth-century music and continued to influence later developments. 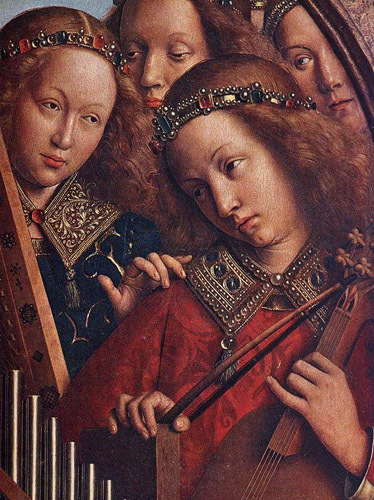 The Franco-Flemish were not restricted by the three-voice writing common in Burgundian music: they wrote for four voices (what we would now call soprano, alto, tenor, and bass), allowing for more variety of rhythm and a wide range of expression. CHANSON Generally a secular song in three parts, one sung, the others instrumental. Flourished in the 15th and 16th centuries. The new musical techniques spread swiftly as a result not only of the peripatetic nature of the Netherlands musicians, but also of the invention of printing in the mid-fifteenth century. It is almost impossible now to conceive of the power of this invention; its impact must have been akin to the sudden advent of television in the twentieth century. The first printing press appeared in the German town of Mainz in 1450, and printing proliferated rapidly across Europe; in 1501 publication of printed music commenced. For the first time, information could be easily, cheaply, and widely dispersed among a public increasingly hungry for knowledge. The newfound power to inform catered well to the upper classes, as they absorbed themselves in the classical concepts of the Renaissance. It also fed the rising discontent within the Catholic Church, and ultimately influenced the start of the Protestant Reformation. In 1517 the German Augustinian monk and theologian, Martin Luther, published his dissatisfaction with many of the Church's ways. This dramatic move led three years later to his excommunication, after which he rejected the authority of the Pope altogether. Luther's protest was spread by preachers and also, significantly, by the newly powerful printed word. In a similar movement in Geneva, John Calvin succeeded in his attempts at reforming both the Church and the government. Calvinists went on to lead the reform movement later in the sixteenth century (although being against the Catholic Church did not necessarily mean being in sympathy with other reformers). In 1534, the Tudor monarch Henry VIII broke with the Church of Rome, thus heralding the start of the English Reformation. In 1558, following the brief reigns of Edward and Mary, Elizabeth I came to the throne, and a year later she formally established the Church of England, with the monarch at its head. Under her reign the arts flourished. Many-European artists and musicians were attracted to the English court by its religious tolerance and independence from Rome. In this way important cultural influences arrived from the continent, adding to the glories of the Elizabethan golden age. The Renaissance was now at its peak. Italy, the preeminent cultural centre of Europe at this time, consisted of separate city-states. Of these, Mantua and Ferrara maintained independent, flourishing princely courts; Naples and Milan fell into invaders' hands. Venice flourished spectacularly, and developed a reputation for the splendour of its ceremonies. 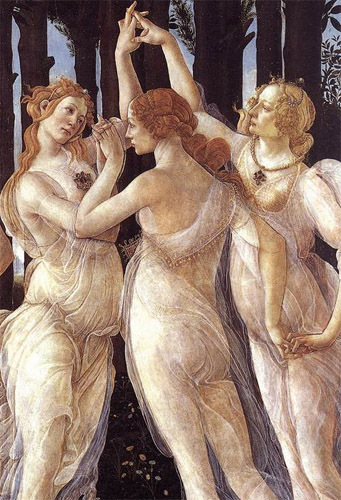 Florence was held in the grip of the powerful Medici family, who exerted considerable influence in Italy and were patrons of such extraordinary talents as Michelangelo, Botticelli, and Leonardo da Vinci. Feast days and celebrations were great events, often based on classical myth, with music incorporated to complement the visual presentations and pageants. Italy was especially important in musical terms during the sixteenth century. Music was an indispensable social art, and composers relished the freedom of the secular forms in which they could experiment. New techniques developed with almost astonishing swiftness, aided by the ease (via printing) with which they could now be dispersed, as well as by the general mood of excitement and adventure across all the arts. A new harmonic system began to evolve in secular music, which would supplant the system used until then. The madrigal (a refined expression of poetry set to music) flowered in this period, especially at the end of the century, when the form grew more complex with five or six voice parts. It was enthusiastically embraced in Elizabethan England, which also saw the emergence of the ayre, a solo-voice song with an instrumental (often lute) accompaniment. Madrigals caught on less in France: in their place emerged the polyphonic chanson, a form in which the music was essentially fitted to the rhythm of the poetic text. Religious music experienced fewer radical developments, but was nonetheless affected by the changes taking place in secular music. The Mass and the motet remained the principal forms of sacred vocal music, but variants evolved with the influence of the new secular techniques. Sacred polyphony reached its height with the great composers Palestrina and Lassus. The Reformation also had an effect on church music, leading to new forms of music for Protestant worship, including the anthem in England and psalm tunes in Calvinist areas. As the Reformation gained influence over religious thought, the Catholic Church reacted by convening; the Council of Trent with the intention of reforming from within. The Council met in three sessions between I54I and 1563; but the results merely further polarized the factions and enshrined the differences between Catholic and Protestant doctrines. An era of artistic repression ensued, when the Council condemned what it saw as creeping corruption within the arts, music included. It banned the depiction of sensuality and anything that could be considered blasphemous. Under its decree, music was expected to be pious and to celebrate religion: the purity of works such as those by Palestrina was encouraged. Sixteenth-century Europe had seen kings establishing themselves firmly as absolute sovereigns over their lands, commanding vast armies and resources. Nations embarked on ambitious expeditions, fuelled by a lust for conquest that was epitomized by the Spanish discovery of the New World and the riches that poured from it. King Charles I of Spam ruled over an immense empire, but much of the wealth he gained from the Americas was lost in continual wars against France, Germany, the Turks, and Barbary pirates in the Mediterranean. Despite the various wars, this was a century of unprecedented growth in Europe, as populations increased and cities flourished. Maritime expansion had encouraged trade, and new methods of production were starting to transform agriculture. Access to printing accelerated cultural and political changes, and fostered the great rise in strength of social groups other than the traditionally powerful hereditary aristocracy — the middle classes. By the end of the sixteenth century, the divisions within organized religion were accentuated by a combination of the strong secular movement linked to Humanism and the Renaissance, and the rapid social changes that were taking place across Europe and beyond. Through the efforts of its Counter-Reformation, the Catholic Church was recovering some of the power and impetus that had been drained away by the spread of Protestantism; yet several forms of Protestant religion had by now firmly established themselves, particularly the Calvinists, Lutherans, and the Church of England. In common with all aspects of cultural life, music continued to evolve. The preceding centuries had seen the dramatic developments of the Ars Nova movement and the almost incredibly rapid evolution of new musical techniques. The turn of the century would prove to be another remarkable turning point in the history of music. The details of Perotin's life are shrouded in mystery. What is certain is that he was one of the two great masters of the Notre 1 )ame school, an important group of composers and singers working under the patronage of the Notre Dame cathedral in Pans during the twelfth century. He may also have been a canon there. 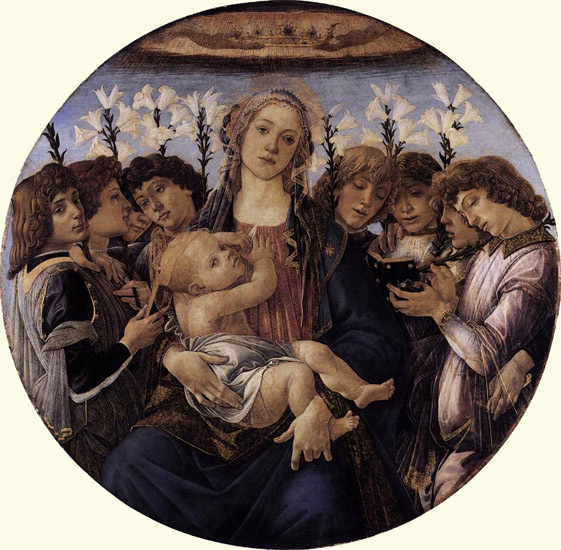 One of the activities of this School was the development of musical pieces using harmony -that is, very early polyphony. Perotin's music far surpassed in beauty and complexity the basic, unadventurous polyphonic styles that were usual for his day. 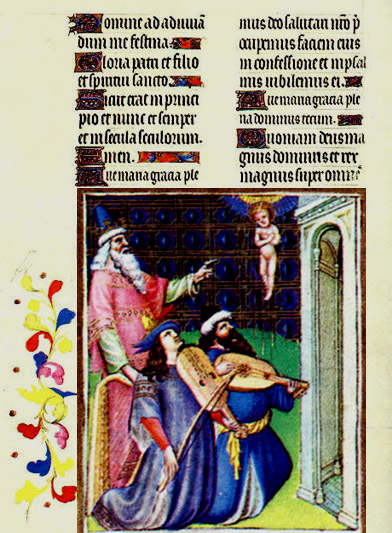 A slightly earlier composer of Notre Dame, named Lconin, compiled a vast cycle of polyphonic music celebrating all the major feast days of the church year, known as the Magnus liber organi (Great book of organuni). Perotin expanded and developed the collection as well as improving music notation. He did not, as far as we know, create original compositions himself; rather he developed what was at his disposal, such as the works of Leonin and others. Leonin wrote mainly for two vocal parts, as was the custom. Perotin's compositions included three, even four voices. His ability to weave together multi-part vocals to create works of extraordinary beauty earned him a high reputation. The vast, resonant interior of the mighty new Gothic cathedral of Notre Dame must have greatly amplified these impressive plainchants. Two of the pieces on the recommended recording, Sedcnwt printipes and Viderunt unities (the latter may have been written for Christmas celebrations in 1198), are written for four voices. Perotin's melodic lines, ornate and rich, extended the known capabilities of the human voice. The long, sustained notes of the basic plainchant (called the tenor) that formed part of these works may have been carried by a singer or played on a simpleorgan; the upper voices sang shorter notes in a number of inventive rhythms. Both pieces last as long as an individual movement in a classical symphony or concerto. As such, they are astonishing feats of composition for their time and true representatives of Perotin's achievement - the crafting of new ways of expressing the language of music. Probably born in Rheims, Machaut was the leading exponent of the Ars Nova movement that flourished in France during the fourteenth century. In 1323 he joined the royal household of John of Luxembourg, King of Bohemia, and served as a clerk for about 20 years, widely respected as a poet as well as a composer. He travelled with the court, but increasingly spent his time composing rather than in administration. His first verified composition was a motet written in 1324 for the election of the Archbishop of Rheims. Through the efforts of King John, Machaut was granted several benefices, in particular the canonry of the new Gothic cathedral in Rheims, granted in 1337. He took up residency there in 1340, leaving his formal work with the king though remaining in service until the monarch's death at the battle of Crecy in 1346. Machaut was one of the earliest known users of syncopated rhythm, and was at the forefront of rhythmic experimentation in both his religious and his secular music. His Hoquetus David is one of the first pieces of purely instrumental music in modern Western times. In addition, he composed for voices in a wider vocal range than was previously thought possible. In all he wrote more than 140 (mainly polyphonic) compositions, although tower than two dozen have been found outside his own collections, suggesting that he protected his work fiercely. After the outbreak of the Black Death in France at the end of the 1340s, Machaut prepared elaborate collections of his compositions for his patrons, who included Jean, Due de Berry, and the future King Charles V of France. These unique and very beautifully illuminated manuscript editions combined motets, ballades, and many other forms with a wide selection of his poetry. Machaut's Mesee de Notre Dame is, deservedly, the best-known composition of the entire age. He wrote the principal components of the Mass (Купе, Gloria, Credo, Sanctus/Benedictus, and Agnus Dei) polyphonically rather than m the customary plainchant. It is also one of the first Masses to have been written as a whole by a single composer (previously the different components of the Mass were assembled from different composers). This, together with its innovative rhythmical techniques, makes it a milestone in the evolution of the Mass as a musical form m its own right. Dufay was the foremost Franco-Flemish composer of the fifteenth century. Born near Cambrai in northern France, he began his musical career as a choirboy in the city's cathedral. Here his musical gifts came to the attention of the bishop, who encouraged his development. He spent a large part of his adult years living and travelling in Europe, including a period between 1428 and 1436 as a singer in the Papal choir in Rome. Dufay became the leading composer of the culturally important Burgundian court, and his patrons extended to the highest levels of Church and State, including the powerful courts of France, the Netherlands, and Italy. Dufay's development was, therefore, subject to several influences. His musical style grew out of a synthesis of the late-medieval French traditions (such as Ars Nova) and the early Renaissance styles that he absorbed from his travels in Italy. A further element derived from the influence of England's John Dunstable, who was present with Dufay at Burgundy. Dunstable emphasized a more natural, expressive sound in polyphony; this fresh approach coincided with the Humanist and Renaissance tendency towards the exploration of personal emotion. Essentially, Dufay's good fortune was to be in the right place at the right time and to possess the talent to make the best of the situation; his position at the Burgundian court allowed him to use the best singers and instrumentalists available. Without being particularly innovative, his compositions were technically sophisticated as well as notably melodic. He wrote many of his works for the noble families of Europe, for whom he undertook commissions; these works often commemorated public or social events, or accompanied religious occasions. Utilizing ideas promoted by other composers, Dufay established himself at the forefront of the changes taking place in church music. 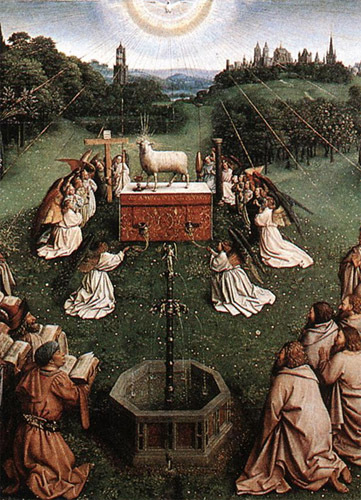 During his lifetime, the Mass assumed an increasing importance as the main form of sacred musical expression; and Dufay composed a number of complete polyphonic settings of the Mass, often merging secular with liturgical themes (as was becoming common in the fifteenth century). He also wrote a substantial amount of purely secular music, particularly rondeaux. which were smaller-scale, more intimate chansons than the ballades favoured by fourteenth-century tastes. Main" of his rondeaux give clear indications of Dufay's ability to embrace new technical ideas - he uses dissonant soundy for example, in Моn сuеr me fait on the recommended recording. His chansons also showed a new flexibility: this was due to the increased use of higher voices (pioneered in part by Machaut), which meant that composers could write for a wider vocal range. Often his music is suffused with emotions of love and tenderness, and would possibly have been accompanied by an instrument such as the medieval harp. In 1436 Pope Eugene IV granted Dufay the canonicate to his home-town cathedral of Cambrai. He finally settled there around the year 1458, and remained until his death in 1474. Records of Ockeghem's life are scarce. A Franco-Fleming, he was probably born in Hainaut. In 1443 he was noted as a singer at the cathedral in Antwerp, and within a year or two he gained employment in the court of Charles I, Duke of Bourbon, based in Moulins. Blessed with a fine voice and considerable diplomatic skills, Ockeghem spent the rest of his life in the service of three successive kings of France. In about 1452 he became a singer at the royal chapel of Charles VII, in Paris, where he enjoyed a favoured position. He progressed to the status of Master of the Royal Chapel, and his service at the royal court continued uninterrupted through the reigns of Louis XI and Charles VIII. At various points he was treasurer of the Abbey of St Martin at Tours, and a canon of Notre Dame in Paris. Although most of his life was spent in France. Ockeghem travelled to Spain and to Bruges, and there are hints that these might have been, at least in part, diplomatic trips for the King. The last surviving court record relating to him is from 1488, when he was present at a Maundy Thursday service where Charles VIII tended the feet of the poor. 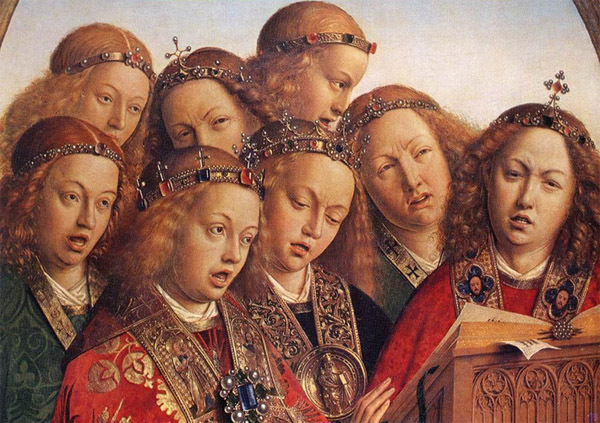 During the fifteenth century many new compositional techniques were emerging. While Ockeghem was not a revolutionary, neither was he a rigid traditionalist; he would certainly have been aware of the new developments and was able to use them in his own compositions. A particular quality found in his sacred music is the broad sweep of the melodies that he employs: long, floating lines, often for all the voices in a piece (rather than just one voice singled out from several, as in fourteenth-century motets). This required not only musical imagination but also ingenuity to ensure that the piece "worked." To facilitate these ornate, flowing lines, Ockeghem increasingly used four voices instead of three. Where the Dufay generation had extended the vocal range upwards - using higher voices - Ockeghem and his peers explored downwards, including the bass register more and more. In his secular songs he reflected the Burgundian tradition, composing mainly in the rondeau form. As with his sacred music he used long, graceful lines, employing various new techniques to create an expressive aural picture, with all the beauty of multiple voice parts seamlessly blending together. Despite the complexity, the effect is effortlessly melodious.In addition to benefiting from royal favour, Ockeghem enjoyed high esteem throughout his life from fellow musicans; among his friends were the composers Binchois, Dufay, and Josqum Desprez. Numerous tributes testify to his standing, and on his death Josqum wrote a substantial requiem in his honour. Josquin Desprez — often known simply as Josquin — is the centrepiece of this period, the greatest composer of the Franco-Flemish School and ot the early Renaissance. Regarded highly within the music world, as much during his lifetime as after his death, he is considered the equal in his own era of Bach or Beethoven in theirs. More than any other composer before him, Josquin made the available compositional techniques his own, at the same time adding a great breadth of imagination to the craft of writing music. Born in Burgundian territories in northern France, Josquin followed in the footsteps of many of his illustrious Franco-Flemish predecessors and travelled south to Italy. From 1459 to 1472 he was a singer at Milan Cathedral, and, following that, at the ducal court of the Sforza family in Milan. Moving to Rome, he became a member of the Papal choir in 1486, where he remained for more than ten years. He spent some time as court composer to King Louis XII of France, and then moved back to Italy, where he became director of music at the court of Duke Hercules of Ferrara - and the highest-paid court member ever. He returned to France in 1504 and finally became provost of Notre Dame in Conde-sur-l'Escaut; there he remained for the rest of his life. Josquin may have been a pupil of Ockeghem's. He certainly built on Ockeghem's mastery of the complex harmonies and sophisticated techniques that were typical of the Netherlands composers; a flexibility and fluency in his style is evidence of Italian influence. He wrote in the customary forms ot the time — the Mass, motets and chansons - yet he achieved a freer expression of emotion, employing the technique of "word-painting" to convey feelings. Word-painting matches the sound of the music to the meaning of the text: for example, Latin words such as desceiidit or ascendit might he supplied with music that descended or ascended (as in the Miserere motet), thus emphasizing the emotional qualities of the work. The music of the late medieval composers had been concerned with intellectual ingenuity and almost mathematical complexity: with Josquin, music became harnessed to the emotional needs of the text, so that for the first time, a listener could gain an idea simply from the sound of the music (rather than the words) what it was about. Though his output was prolific and wide-ranging, one of the highest peaks of Josquin's career was his Missa Pange lingua, with its rich harmonies, inventiveness, and melodic subtleties. A favoured form of composition of the time was the "Missa Parodia" (parody Mass), in which the parts from an existing work — secular or sacred — were used as the basis for a new piece. Josquin used this technique in Masses such as Malheiir me bat, based on a chanson by Ockeghem, and L'homme anne, probably based on an old crusader song. Josquin was one of the first composers to use passages from the Old Testament as a basis for motets, where his individuality came to the fore. In his motets and chansons he frequently composed for four parts, achieving great depth and a wide vocal range, as well as a variety of moods. The spirituality and compassion that he managed to portray took music out of the Middle Ages, and made Josquin the first composer truly to fulfil the criteria of the Renaissance movement. Orlande de Lassus was one of the very greatest exponents of sacred music working during the second half of the sixteenth century. Perhaps the last Franco-Flemish champion, he was an incredibly prolific composer, and by the time he died in his sixties he had written an impressive range of more than two thousand sacred and secular works. Born in the Franco-Flemish province of Hainaut, Lassus was blessed with such a beautiful voice that he was abducted two or three times by talent hunters in search of singers for the courts of Europe. At the age of 12 he entered the service of Ferrante Gonzaga, a general to the Emperor Charles V. Travelling with Gonzaga in Italy, Lassus experienced the Renaissance glories of the Mantuan court as well as those of Sicily and Milan. Lassus spent the early part of his life travelling from one court or chapel in Europe to another, working for princes or the Church. In about 1550 he entered service with an academic household in Naples. He next spent a short period in Rome, initially working tor the Archbishop of Florence (who was based in Rome at that time), and then as the Maestro di Cappella at the church of St John Lateran. In 1554, hearing that his parents were gravely ill, he returned to his home town of Mons. After their deaths he lived briefly in Antwerp, where he supervised the publication of several of his early motets and chansons; shortly afterwards he moved to Munich as a singer in the chapel of Duke Albrecht V of Bavaria. He remained in Munich for the rest of his life, in 1558 marrying Regina Wachinger, the daughter of a lady-in-waiting. Lassus eventually rose to become Kapellmeister to the court. His duties included recruiting musicians, and he continued to make frequent journeys in Europe tor this purpose. His tame as a composer spread; yet he resisted every offer to move from his family's home, even when asked by the King of France. Lassus dominated the sacred music of his day not only because of the vastness of his output but because of its extraordinary quality. He assimilated a wide range of styles, combining his own inventiveness with important Italian, French, German, and Flemish influences. His technically sophisticated madrigals and chansons show an amazing variety of moods, ranging from melancholy to comic, from sensual to jaunty — even boisterous drinking songs; and an equal mastery is evident in his religious compositions (more than 1,500). 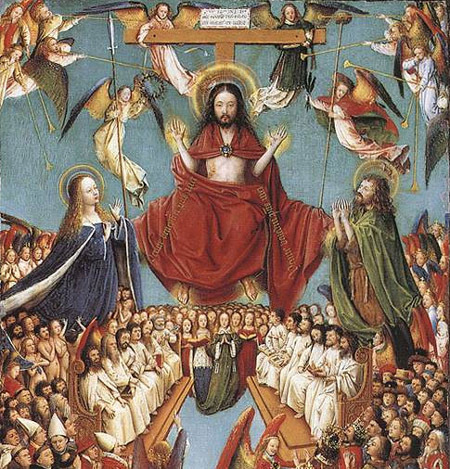 Many of his Masses and Magnificats arc parody treatments (using original secular or sacred works as their theme) and convey a deep spirituality. His musical genius reached its peak in his motets, composed for the many devotional, reflective, and penitential texts acceptable under the dictates of the Counter-Reformation, and are especially notable for the expressiveness with which Lassus portrays the imagery of the sacred words. Although the church was the chief sponsor of music in ancient times, the Carmina Burana — a thirteenth-century collection of songs about gambling and drinking — shows that other concerns were given voice. Carl Orff's famous tipdated version of the songs was first performed in 1937. Also outside the direct influence of the church in the twelfth and thirteenth centuries was the work of the troubadours, a scattered company of singers and poets ranging from serfs and tradesmen to royalty (including Richard the Lionhcart), who sang of courtly love, chivalry and adventure. Prolific composers such as southern French Bernart de Ventadorn (r.1 130—r. 1190) Andjaufre Rudel (mid-twelfth century) provided a somewhat more sophisticated entertainment than the minstrels who frequented sumptuous medieval banquets and jousts. Germany too had its courtly singers in the shape of the Minnesinger, a tradition that Wagner later drew on in Die Meistersinger von Niimberg. In Italy the first flowering of secular music came in the fourteenth century when composers such as Francesco Landini (c. 1325-1397) and the Belgian Johannes Ciconia (r. 1335 —1411) composed madrigals, chansons, and dancing-songs, often to texts by great writers such as Dante Alighien, Petrarch, and Boccaccio. Medieval music from the British Isles abounds m splendours, including the Worcester fragments and carols such as Sinner is icumen iu. At the end of the fifteenth century it reached a peak with the collection of sacred works called the Uton Choirbook, containing music whose soaring lines are the aural equivalent of the Perpendicular style of architecture in cathedrals such as Canterbury, Winchester and York Minster. Although Victoria would sum up the robustness, richness, and earthiness of Spanish Catholicism later in the sixteenth century, the country's earlier musical heritage — both sacred and theatrical — was boldly painted by the composers Juan del Encina (1468-1 529), with songs such as Mas vale que trocar and Fata la parte, and Francisco de Peflalosa (c. 1470-1 528), with liturgical music such as the Mass Niunica fue репа mayor. Throughout western Europe, music-making was always at the forefront of society's concerns: only today are we learning of similar achievements in Latin America, Scandinavia, and eastern Europe.